They never clash with your decor, they look lovely even when strewn around the floor, and in the future, they’ll hold their own on a display shelf next to china you were too scared to display when the kids were young. 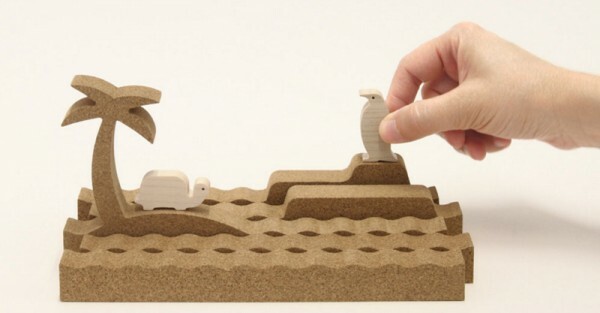 Toys that walk the fine line between art and play objects are the best kind of toys, and Bleebla’s Silhouette sea scene is a beautiful testament to that fact. 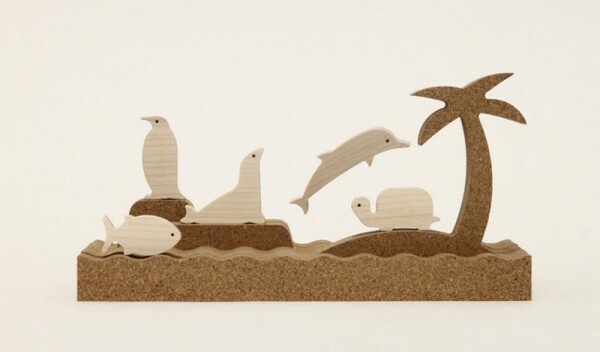 Made from cork and European sycamore, the Silhouette set (€85) has 10 beautifully simple sea creatures and five landscape pieces that represent the waves and islands. The set is modular so every piece can be moved around to create a world that’s uniquely imaginative, and maybe a bit chaotic. Sperm whales might go island hopping to chase down seals, turtles might take a ride on a dolphin’s back through stormy waters. Add a spaceship and a few dinosaurs and this set would be many kids’ dream come true. These pieces are really lovely little works of art, pressed and sanded to smooth perfection. See? Just because you have kids, doesn’t mean you can’t have anything nice. Silhouette is available at Bleebla, and shipping to Australia is around $16.